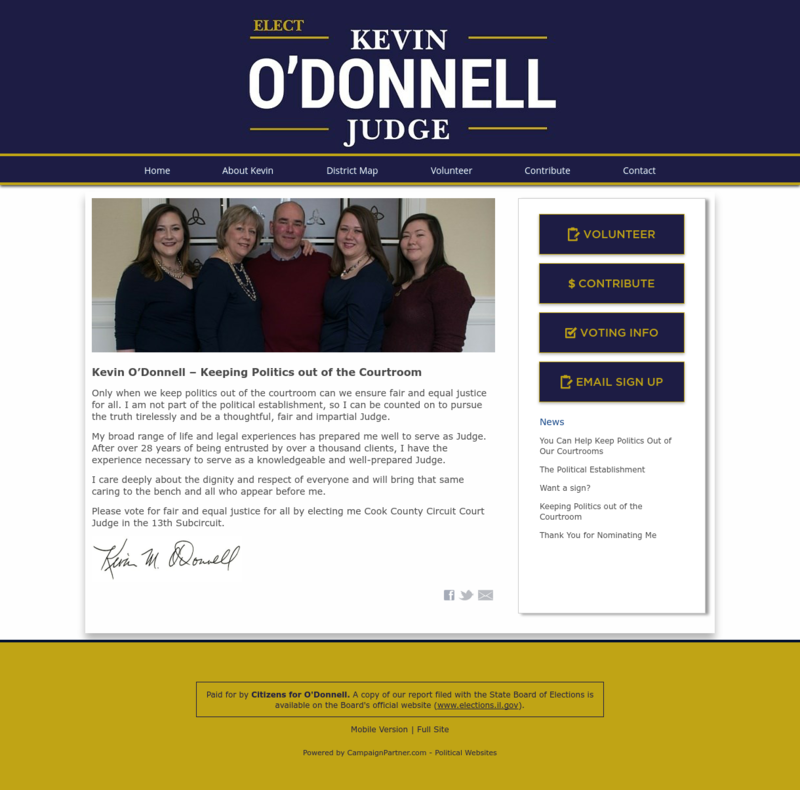 We Make Campaign Websites Easy! If you can use email and browse the web, then you've got all the skills you need to create and manage your own campaign website using Campaign Partner. It's a snap to add pages, videos, create photo galleries, post news and events, and manage volunteers and contributors through our easy-to-use control panel. 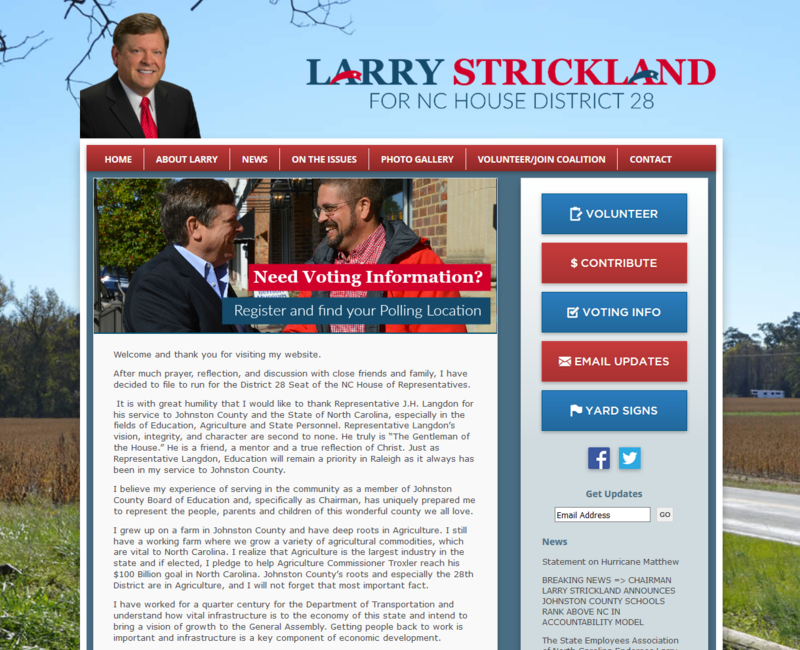 You'll never have to wait for someone else to make updates to your campaign website. 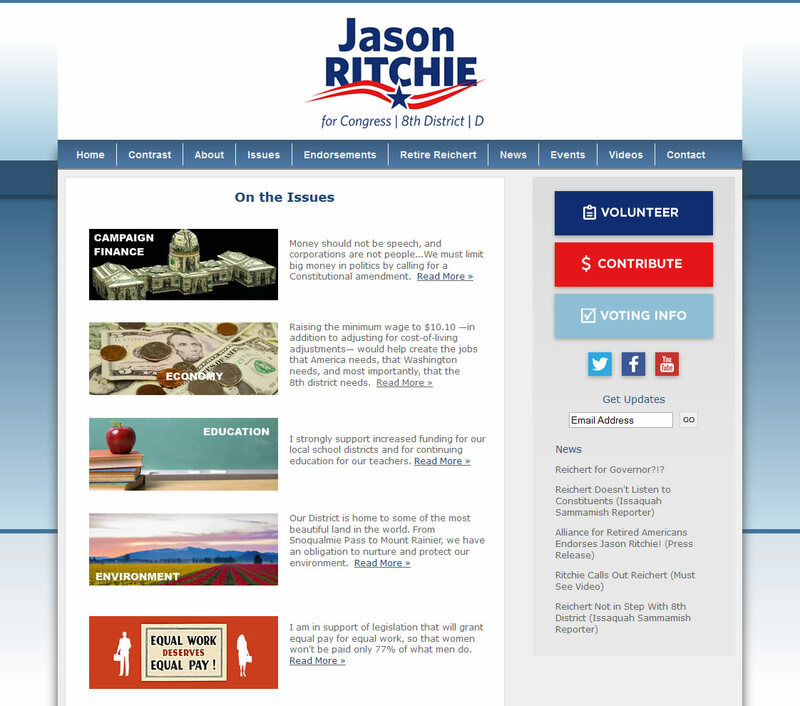 You can post campaign updates, blog about important issues and manage every aspect of your site from any computer with internet access, 24 hours a day. 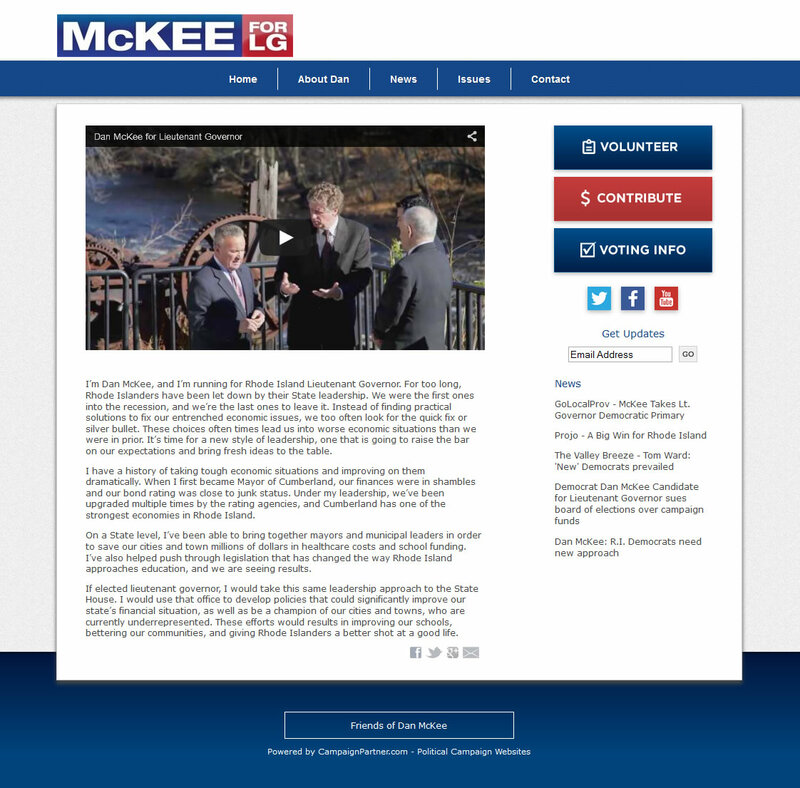 With Campaign Partner, you can launch your own political website in less than a minute. You won't need an army of volunteers, graphic designers or programmers to have a professional website, accept online donations, and mobilize your volunteers and contributors. We've included everything you need to win! You'll be up and running in seconds. Our simple setup process creates sample pages for your site that you can begin editing right away. You can update your website at your convenience with our easy-to-use website editor. There's no limit to the number of pages you can add to your site, or the number of times you can make updates. 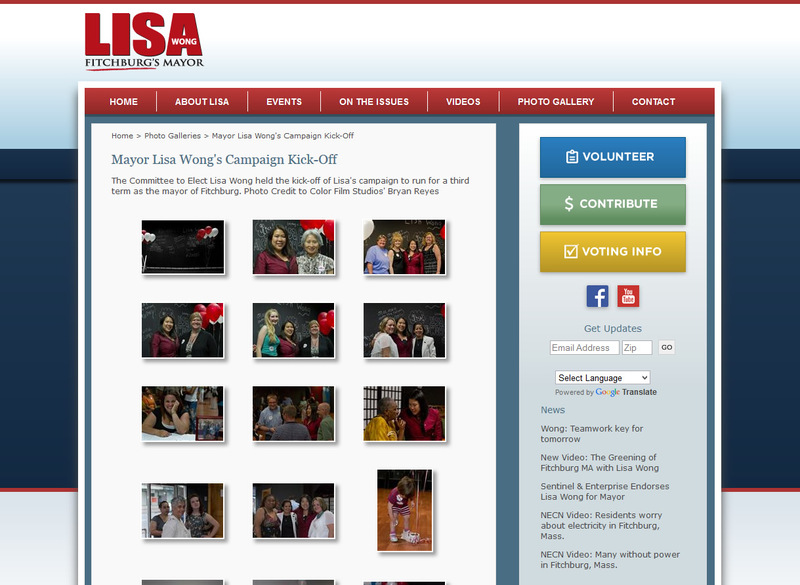 view our campaign website gallery here. You'll be able to accept online donations from the moment you launch your site. Best of all - we don't take a dime of your hard-earned donations. Use our online contribution form to accept payments by mail, through Stripe, PayPal or Authorize.net, or link your donation button to any third-party payment processor. Campaign Partner makes it easy to mobilize and organize your volunteers thanks to the integrated volunteer signup form and contact management system. Need a list of everyone who's volunteered for phone banking? No problem! You can quickly and easily sort and export your volunteers based on their signup preferences. You can import your existing contacts, and export contacts for use with almost any software. 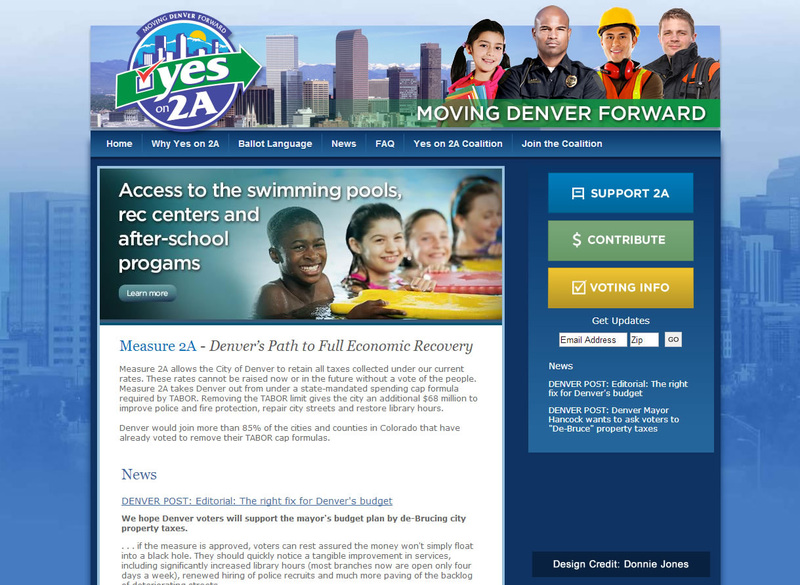 Set and monitor campaign contribution goals, site visitors, page views and other key metrics. Upload photos, create galleries, and add captions through the control panel. Campaign Partner automatically creates slideshows from your photos. Volunteers, contributors and email subscribers are automatically added to your supporter database. Campaign Partner even integrates with the email newsletter service MailChimp, enabling subscribers to be added directly to your email lists. With our automatic page backups, you can easily undo changes and revert to previous versions of your pages. Connects to your Facebook, Twitter, and other social media accounts, and provides one-click access for visitors to share your website with their friends and family through Twitter, Facebook, and email. Easily add your own Facebook and Twitter feed. We include sample content on each page and step-by-step instructions to make setup a breeze. 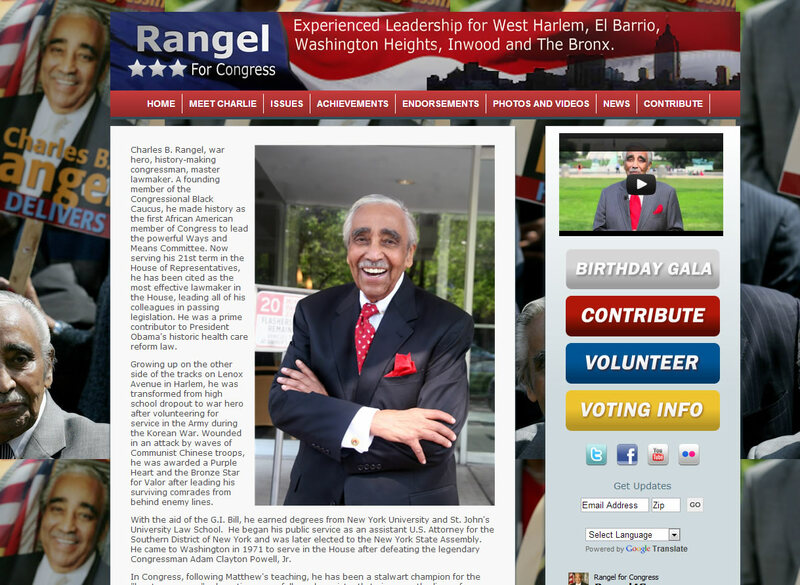 You can also add your own pages, photos, graphics, logo, videos - anything you want to customize your site. We have candidates running for thousands of offices - mayor, city council, state representative, judge, sheriff, alderman, school board, state assembly, state senate, city manager, trustee, commissioner, clerk, school committee - even the House of Representatives and US Senate - not to mention a host of non-political elections. How does your system compare to other website solutions? Campaign Partner is the fastest and easiest way to get your campaign website up and running. Unlike other solutions, you won't need hours of training sessions, and you won't have to wait days or weeks for someone to create your site. 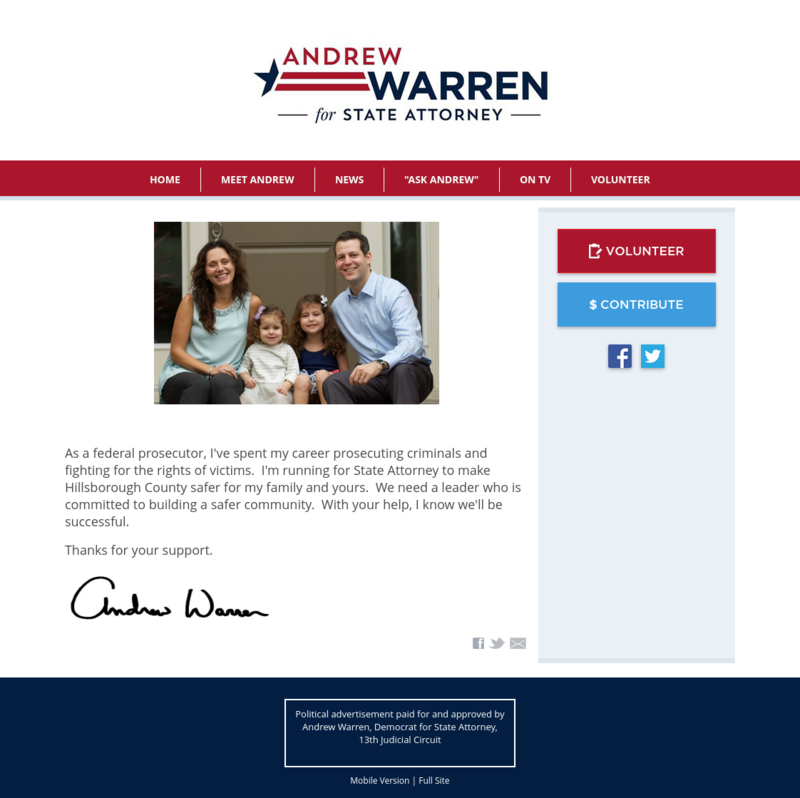 The moment you sign up, a fully-functional campaign website is created for you - all you need to do is pick a style and add your own words to the page. If you're comfortable browsing the web and using email, you'll feel right at home with Campaign Partner. 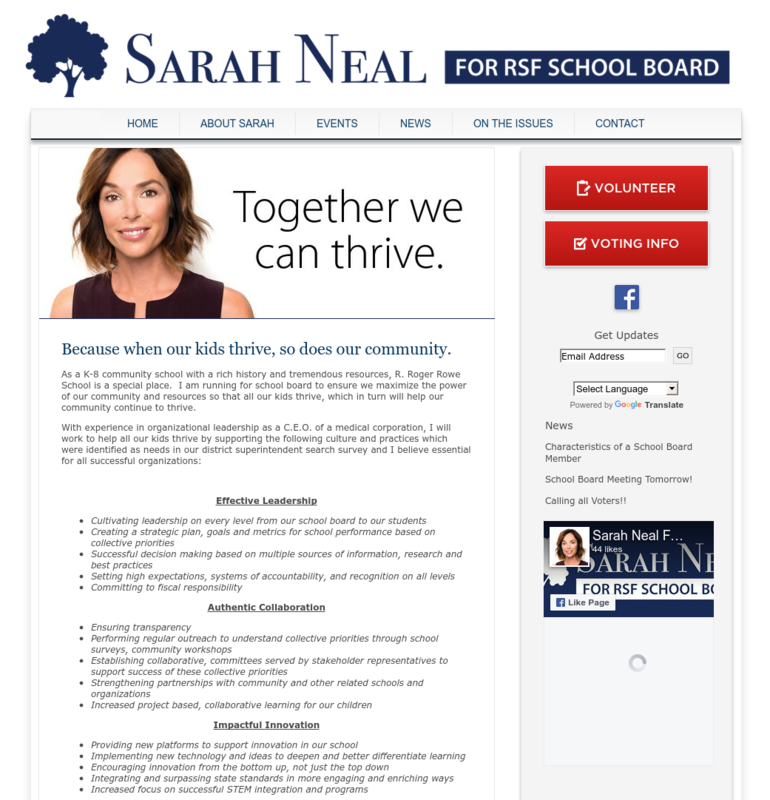 I already have a logo from my campaign signs and literature - can I use that on my site? Absolutely! You can easily add your own logo and campaign graphics. We'll even help you tweak your existing logo to match your site. It looks like you offer some features that I don't need - can I disable or hide these? Of course! You can pick and choose the features that make the most sense for your site. What if I can't figure out how to do something? Am I on my own? Not at all! We have a great support staff to help guide you through the process of creating and updating your site. I have a friend/relative/volunteer who's a web designer. Why should I use Campaign Partner instead of building a custom campaign website from scratch? 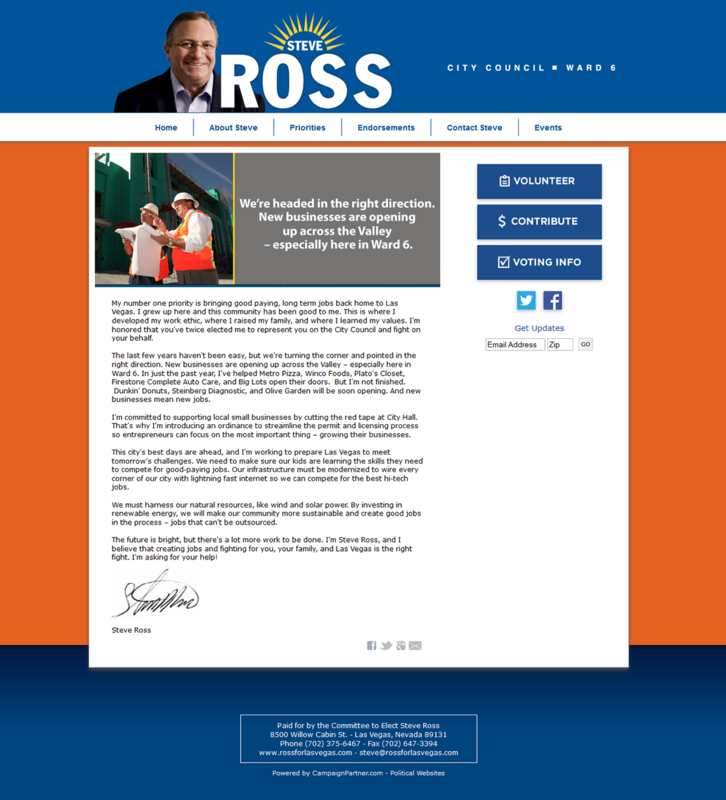 Running a political campaign is exceptionally hard work, and the last thing you need to worry about is your website. 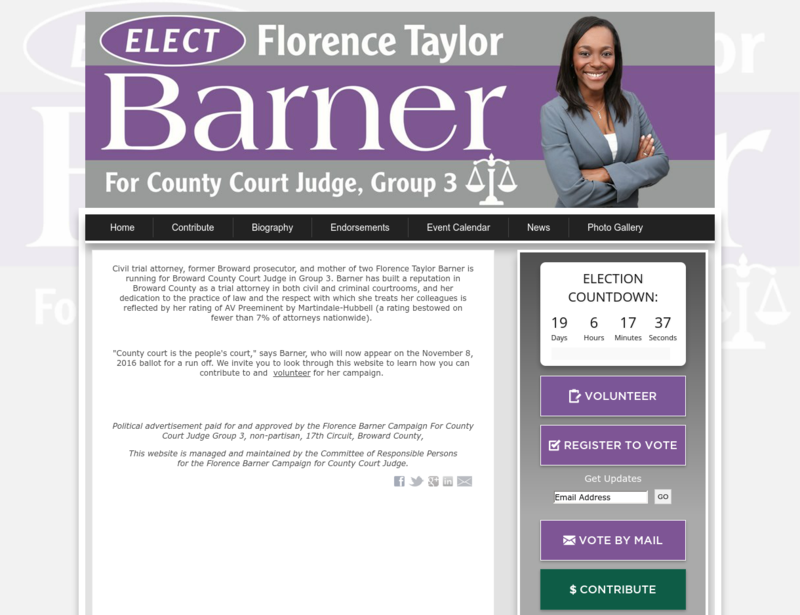 Even if you're lucky enough to have a volunteer who has the technical skills necessary to create a professional-looking election website on your timetable, having them available to make changes on a moment's notice for the duration of a campaign is likely too much to hope for. 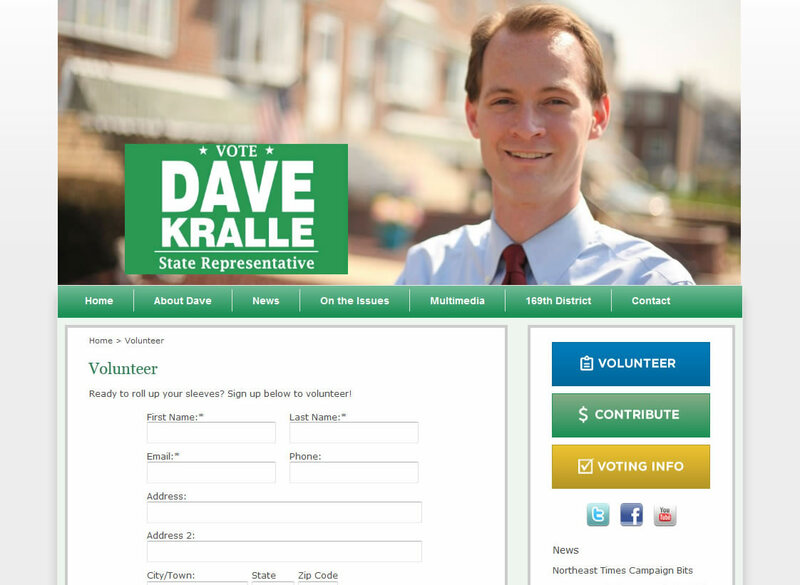 With Campaign Partner, you'll have a website that you can begin using today and easily update at your own convenience. Campaign Partner is a month-to-month service - no contracts are required. You can cancel or switch to a different plan at any time. Are there any setup charges or hidden fees? Unlike other solutions, there are no additional fees or hidden charges. We even include a free domain name (normally $15)! Can I hide my site until I'm ready to launch? Yes! Our Publishing and Security Settings page gives you complete control over who can see your site. When you're ready to publish your site, it's as easy as clicking a button. Can I import my contacts to Campaign Partner? Absolutely! You can import from Excel, Outlook, or just about any data source. Can I export my contacts from Campaign Partner? Of course! You can easily export your contacts and donor file for canvassing, phone banking, or for use with other software like Constant Contact or Mail Chimp. Do I need to know HTML or have any special skills to manage my website? 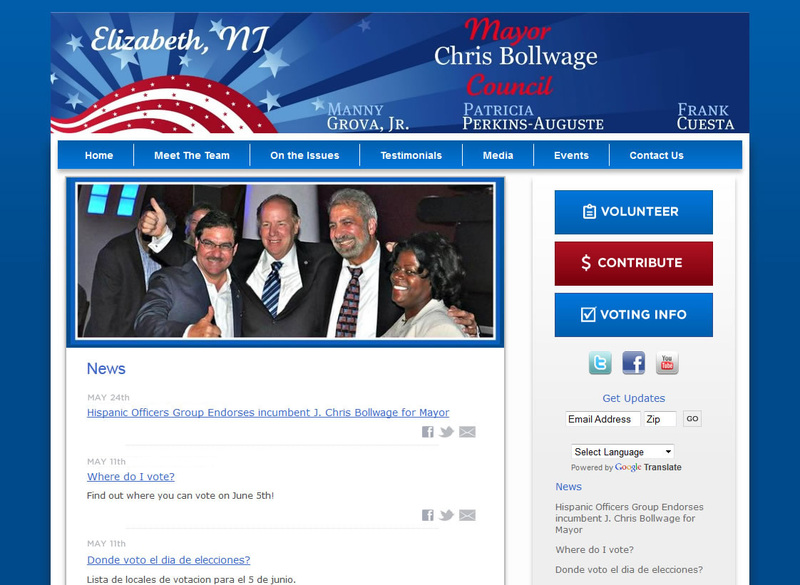 If you can use email, you can manage your own political campaign website with Campaign Partner. It's really that easy. And if you get stuck, we're here to help! Do I need any special software? Will this work on a Mac/PC? Can I set up email accounts on my domain? Absolutely! Just let us know what accounts you need created and we'll take care of the setup. Can I register a domain name with you? Yes! We include a free domain name (normally $15) with every signup. When you register with us, we'll automatically configure your domain for use with Campaign Partner. 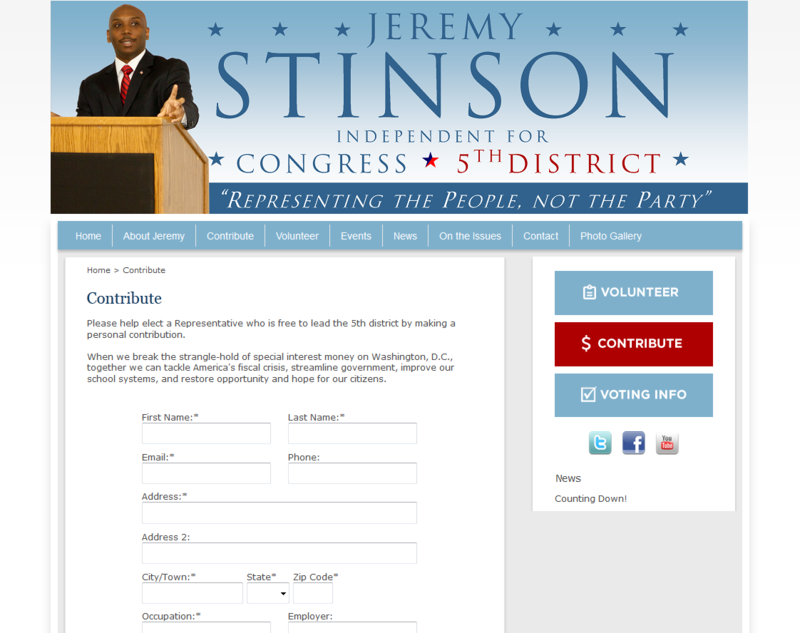 You'll own this domain name, and can even use it after your campaign has ended. We also include a free SSL certificate so that your visitors can access your site securely. I already have a domain name. Can I use it with Campaign Partner? Absolutely! We'll walk you through the setup process for your domain registrar. Will my website be easy to read on mobile phones? Yes - our sites automatically display mobile-optimized versions of your pages for visitors using smartphones. Can I use Campaign Partner for an issue awareness campaign? Yes! 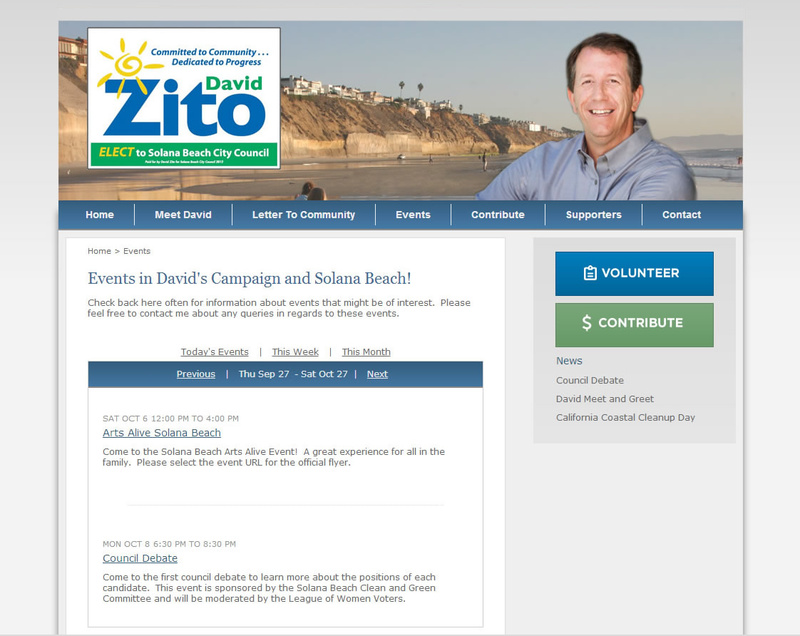 We also serve local and county political offices, nonprofits, and non-political organizations. I'm in Canada - can I still use Campaign Partner? Absolutely! Campaign Partner offers built-in localization for Canada. If you have questions, please don't hesitate to contact us. 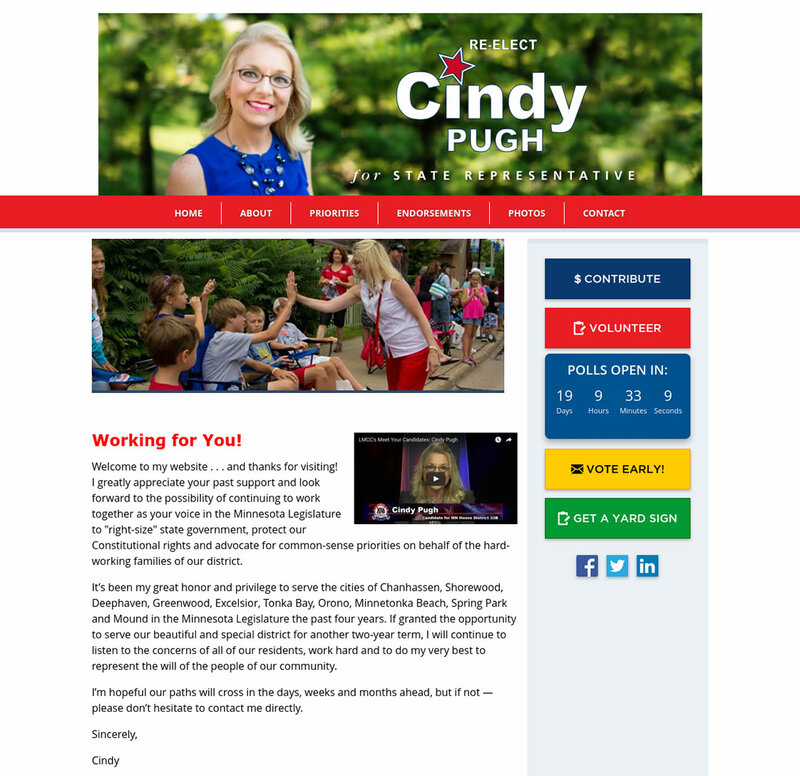 Can I continue to use my site after I win my election? Yes! 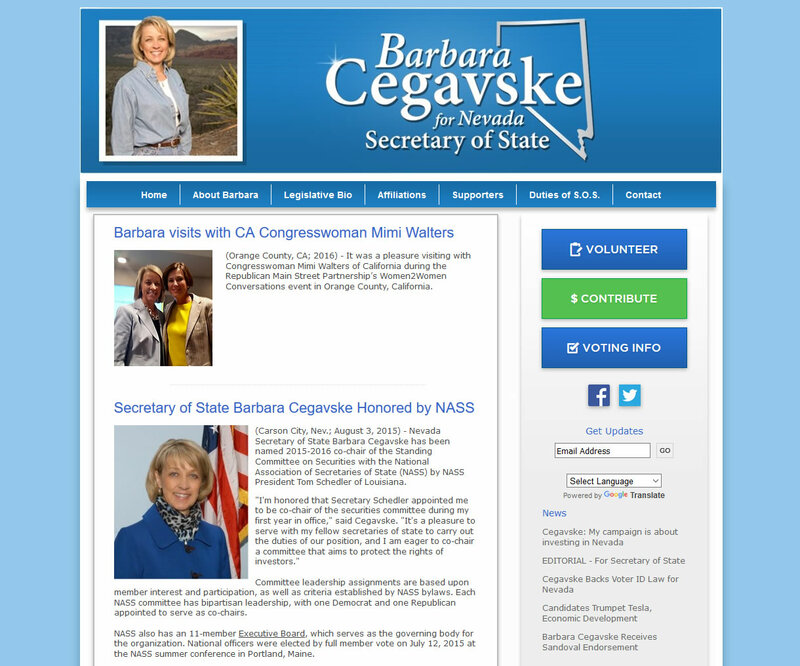 Campaign Partner is ideal for sharing news and updates about your accomplishments in office, and staying connected to your constituents. Keeping your site online also gives you a distinct fundraising and visibility advantage against any potential challengers. 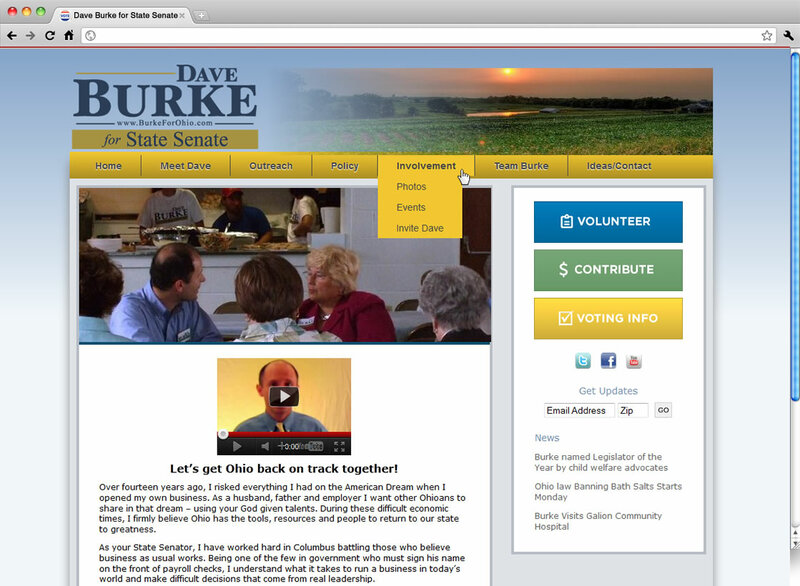 What if I don't need to keep my site online after my campaign, but I do want to save my website for my next election? No problem! We offer an extremely low-cost 'hibernate' option to save your website until your next election. Signup takes less than a minute, and you can cancel at any time. Still have questions? We'd love to hear from you! Click here to drop us a note.